Colgate is one of the most popular and best toothpastes in india. They have a wide range of products. Their products include Colgate Total Advanced Whitening, Colgate Active Salt and their list goes on. 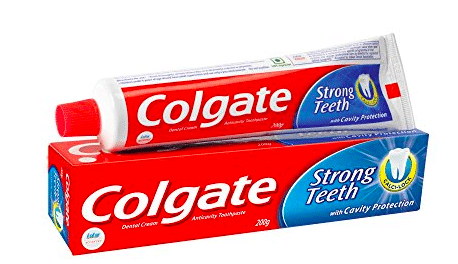 For many folks in India a toothpaste is referred to as “Colgate”. Strong teeth from Colgate is a toothpaste in India that we does not need any sort of introduction. Indian Colgate products are accessible to people of all ages including kids and senior citizens. Thanks to their wide range of toothpaste and dental products they introduce each year. All their products are accepted by the IDA (Indian dental association) as they go a long way in protecting your teeth. The ingredients fight germs and restore the strong nature of your teeth. It also maintains your healthy gums and provides a fresh breath. This tooth paste contains ingredients like fluoride and xylitol. Sensodyne toothpaste is not new to the Indian dental product list. Repair and protect from Sensodyne was launched in India the Indian market in the year 1963. It has evolved since then. 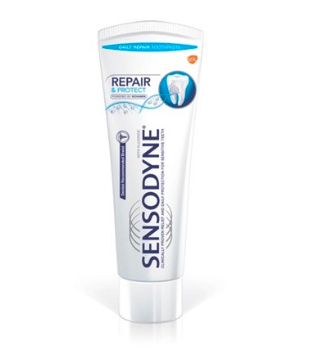 Our markets Sensodyne range consists of many products including the repair and protect formula, fresh gel and the rapid sensitivity relief formula. Your dentist is knowledgeable enough to prescribe the best toothpastes including the sensodyne formula. One of Its advantage is that it is a clinically proven brand for sensitivity relief ! Core competency lies in developing dental products that fight tooth sensitivity and pain. Protection from Sensodyne also goes a long way in restoring gingival health. 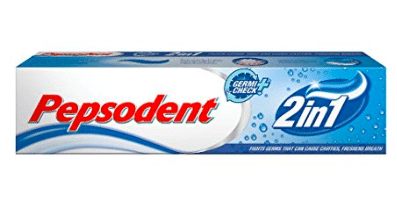 Pepsodent was first introduced in the United States of America in the year 1916. The basic composition of this tooth paste contains a substance called pepsin. It is a digestive enzyme created to break down and dislodge food debris. This resulted in the name “Pepsodent”. HUL’s Pepsodent is one of the most popular and best toothpastes in India after colgate. This was made possible by their eye catching advertisements. Gemi check is also one of the oldest brands in dental care products manufactured by Hindustan Unilever Limited. Two in one tooth paste was launched in India by HUL. Since 1993 Pepsodent has gone a long way in protecting your gums as well, due to its amazing oral care properties. Pricing is very cost effective due to its competitive nature. Products by Pepsodent range from Expert Protection to Germicheck, clove and salt. Freshness of the Pepsodent paste is because of its mint which gives you a fresh breath! Close up toothpaste was first introduced in the year 1968 by the Unilever company. As a tooth paste gel which was first of its kind. This brand is advertised worldwide by the Unilever firm. The main aim of close up is to be one of the best tooth pastes when it comes to restoring the freshness. 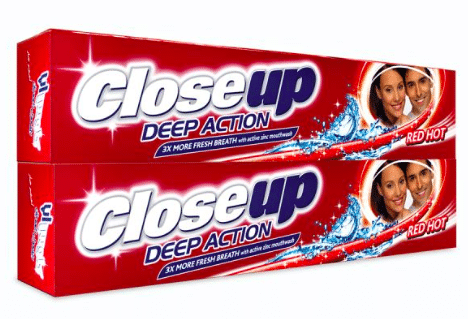 Unilevers’s Close Up is very popular in the India market and its marketing revolves around fresh breath. It has a little less than half the share amongst other toothpaste brands in India. Once it was considered as the top selling toothpaste brand in the Indian market. The deep action red hot toothpaste is one of their best creations! 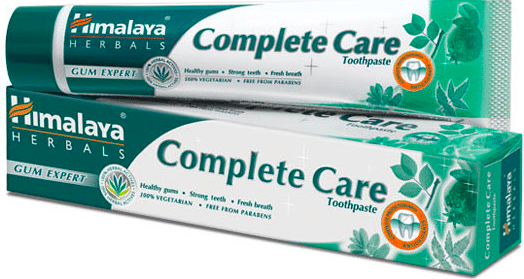 Himalaya herbals complete care is a tooth paste containing antioxidants. This toothpaste contains a rare composition of ayurvedic herbs which are high in flavonoids. It has been formulated with these special ingredients to make your teeth and gums strong. The formulation is a combination of Neem, Pomegranate and Miswak which are known to provide complete protection to the oral cavity. They have an amazing bacteria inhibition property. Complete care toothpaste from himalaya has been specially formulated for adults due to its amazing properties in treating bleeding gums. Patanjali is formulated by the fastest growing brand owned by baba Ram Dev. The Patanjali dant kanti it is designed to optimise your oral health. With the Patanjali Dant Kanti’s selected & refined ayurvedic herbal ingredients. Patanjali claims to provide dental protection. Baba ram dev’s Patanjali Dant Kanti’s ingredients are selected and time tested to protect your teeth from pathogens. Dant kanti is packed with the ayurvedic goodness of our very own Indian herbs. 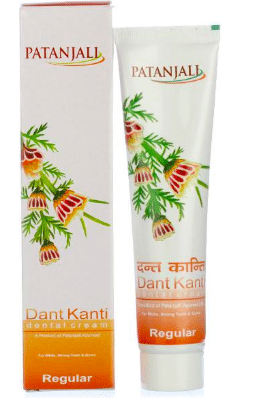 Herbs in Pantanjali Dant Kanti toothpaste restore dental health due to its antibacterial formulation. Ayurvedic Herbs such as akarkara and babul protect the gums and gingiva. Neem, turmeric and clove go a long way in destroying pathogenic organisms. When it comes to ayurveda Patanjali it is one of the best toothpastes. It contains pudhina and pipli refresh the oral cavity thus restoring your fresh breath. This paste can be used twice a day with the right brushing technique! “Vicco turmeric, nahi cosmetic, vicco turmeric ayurvedic creammmmm!” Well if you live in India you must have definitely come across the above commercial. As the name says “ayurvedic medicine for gums and teeth”. The main ingredient in any vicco product is our very own Indian haldi (turmeric). It is very well known for its anti inflammatory properties! This ingredient is patented by India. 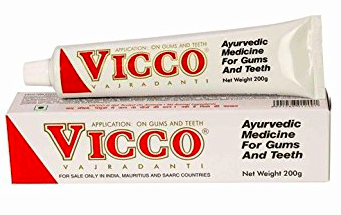 Tuemeric containing Vicco Vajradanti Toothpaste’s medicinal ingredients are very beneficial for good oral health including your teeth and gums. Ayurvedic Medicine for Gums and Teeth . Vajradanti is one of the best tooth pastes containing turmeric. This product offers this unique formula in a dental care paste. Application on the gums has natural astringent, and analgesic properties. These ingredients also stimulate and reinforce gums, while resisting plaque formation. Ingredients in this paste restore your gums which no cosmetic toothpaste can ever give. Post brushing it can also be used to massage your gums to stop any bleeding. Dabur India introduced the Miswak herb while formulating their popular Meswak toothpaste. This toothpaste removes stains & debris, fights pathogens & harmful bacteria. It keeps your oral cavity healthy. It also prevent cavities and tooth decay to an extent. Meswak is one of the first best toothpastes containing miswak. Pure extracts of miswak were introduced in the Indian market by Dabur. The Dabur meswak is an ayurvedic herbal formulation for your complete dental care regimens. Miswak Herb is the key composition in this toothpaste. Its an amazingly powerful Indian herb. Formulation with this herb is compatible with most of the dental care properties. Oral-B consists of many oral care products. Their range Includes toothbrushes, tooth pastes, electric toothbrushes, mouthwashes and dental floss. Owned by the American multinational company Procter and Gamble(P&G). It has performed extremely well in the Indian market as well. Pro expert from Oral B is a well formulated toothpaste with stannous fluoride. Thanks to its amazing properties ranging from cavity protection to gum protection. Fluoride in this toothpaste also helps in reducing tooth sensitivity. The B in oral b stands for brush and the oral b’s core competency in dentistry lies in tooth brush designs. Stannous fluoride in this paste does the best when used in conjugation with their very own toothbrushes. Its also has a sugar shield which is very helpful in maintaining dental health. This is a seven in one multi action toothpaste. Amway has an experience of 50 years in the dental industry. Glister claims to give you healthy teeth with a beautiful smile. 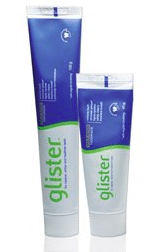 The Glister range in dentistry comprises of a kids toothpaste. Specially formulated for children and is prescribed by a pediatric dentist. One of Glister’s important ingredient is REMINACTTM which whitens teeth thus restoring your smile. It also prevents Cavities, dislodges plaque, restores fresh breath and also increases re mineralization. Diethanolamine, Fluoride, Artificial Sweeteners, Triclosan, Sodium Lauryl Sulphate, Propylene Glycol. Fluoride is known to prevent tooth decay by converting the calcium hydroxyapatite crystals to calcium fluorapatite crystals which makes the teeth more resistant to caries and decay. Fluoride in your toothpaste helps prevent or halt tooth decay by reducing the destruction of enamel by pathogenic oral bacteria. It also increases the remineralization activity in the tooth structure. So you need to check the amount of fluoride present in your toothpaste. Use of Indian toothpastes with 1,100 ppm fluoride content is highly beneficial for your teeth. Most of the Indian toothpaste brands such as colgate and pepsodent contain fluoride. Colgate visible white plus shine as seen in their adds by Sonam Kapoor, claims to make your teeth comparatively a shade whiter in just a week! 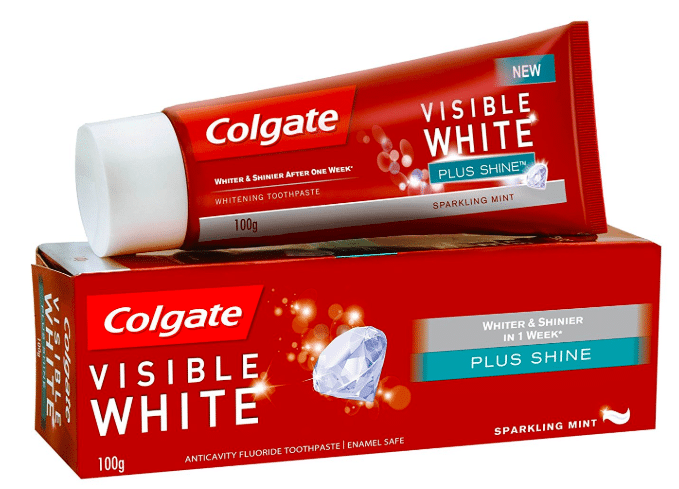 Colgate India has formulated this whitening toothpaste with teeth whitening accelerators which remove extrinsic stains and polish your teeth (enamel) for a white and bright smile you cannot resist flashing! Visible white plus shine when used as instructed will give you whiter teeth after repeated use. Colgate whitening toothpaste contains anti bacterial properties and shields the enamel (tooth surface). Apart form whitening your teeth It also goes a long way in removing calculus, debris and plaque. The range of pastes Colgate offers to the Indian market, are also the number one recommend toothpastes in India by many dentists. Which is the best toothpaste in India for sensitive teeth? Sensodyne range of toothpastes are one of the best medicated toothpastes in India for sensitive gums and teeth. The reviews from many dentists and patients for this toothpaste are amazing, when is comes to fighting dentinal sensitivity which is usually felt while the enamel comes in contact with cold food or beverages. In the year 2018 it was also one of the most recommended brands for teeth sensitivity by dentists from all over the country (India). The consumer reports also show a very positive sign when surveyed. When it comes to the sensodyne pronamel toothpaste, according to a survey seven out of ten practising dentists in India recommend Sensodyne for sensitive teeth and gums. 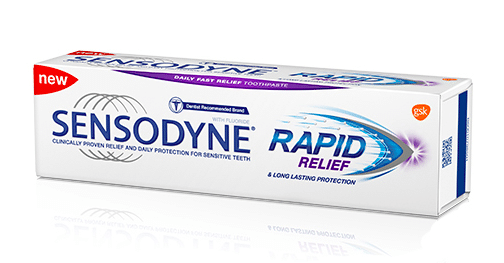 The sensodyne instant rapid relief is formulated with ingredients such as sodium fluoride, sodium phosphate, potassium nitrate which go a long way in relieving teeth sensitivity! It creates a complete chemical seal against sensitivity causing substances. Most of the dentists recommend using this toothpaste twice a day to get complete relief against dentinal sensitivity. It can also be applied to the sensitive gums using your fingers to provide a relief from gum sensitivity in sixty seconds. Which is best toothpaste in India for bad breath? 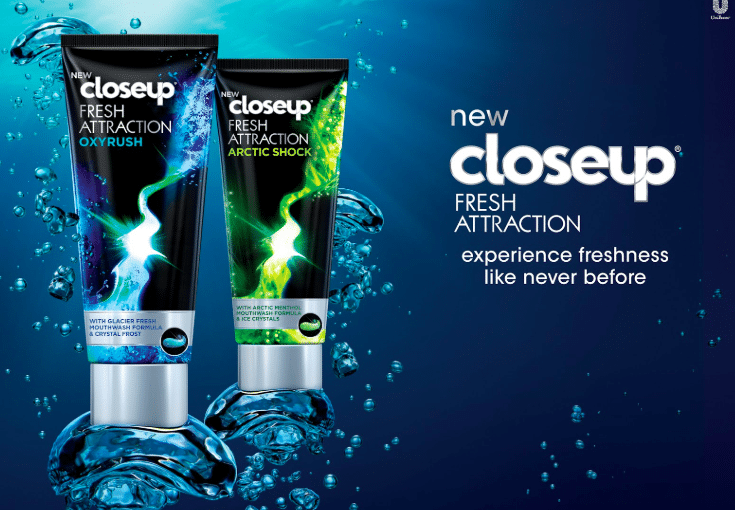 With the new closeup fresh attraction toothpaste you can feel and experience a freshness filled breath like never before. It acts and gives results better than a normal toothpaste simultaneously fighting halitosis (bad breath). Halitosis is a chronic condition which includes bad breath and causes a very unpleasant feeling to you and the people around you. Usually your morning breath is a strong smell that is felt when when you wake up or after a meal. Close up fresh attraction contains natural Indian elaichi oil and is also enriched with herbs such as tulasi which are formulated to give you a clean set of teeth and a very long lasting freshness with respect to your oral cavity. This amazing fresh mint can be felt immediately after brushing. This toothpaste is also 100 Percent vegetarian making is very compatible in many Indian households! So you can opt for a closeup fresh attraction toothpaste the next time in a supermarket for a natural boost of fresh breath which also increases your confidence! So your bad breath is not that much of an issue to worry about with closeup. Colgate total offers twelve hour protection for a healthier mouth. It protects your teeth from plaque, cavities, tartar, sensitive teeth, erosion, stains and decay. It is also very affordable as it is priced around 100 Rs a tube. It is also a highly recommended toothpaste by dentists all over India. Colgate palmolive always produces high quality products with time tested and effective ingredients such as fluoride. This fluoridated paste also has an antibacterial effect against decay causing germs (micro organisms) such as streptococcus. Colgate Total Pro Gum Health Toothpaste acts on the gums to prevent periodontal issues. For healthy smile & teeth improve your healthy mouth with oral health caret, with Colgate Total® toothpastes, mouthwashes, and toothbrushes. Colgate junior for kids offers a sugar free variant with lower fluoride content. It protects your child’s teeth from plaque, cavities, tartar, sensitive teeth, erosion, stains and decay. It is also very affordable as it is priced around 100 Rs a tube. It is also a highly recommended toothpaste by pediatric dentists all over India as the fluoride content is around 1000 ppmF. Your child’s Pediatric dentist will usually recommend using just a pea size amount twice a day with gentle strokes. The right brushing techniques will be taught by an experienced pedodontist in a typodont in a fun filled atmosphere. Pediatric and preventive dentistry is one of the fastest growing dental speciality fields in India and so are the toothpastes such as colgate junior for Kids in India. Colgate palmolive always produces high quality products for pediatric dental care with time tested and effective ingredients such as fluoride. This fluoridated paste also has an antibacterial effect against decay causing germs (micro organisms) such as streptococcus. 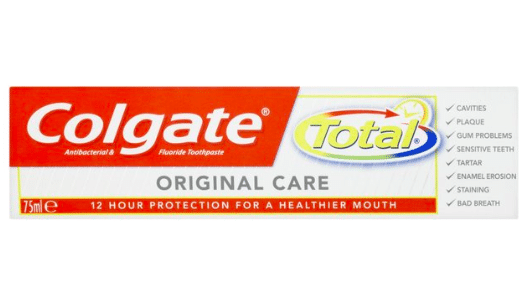 Colgate Total Pro Gum Health Toothpaste acts on the gums to prevent periodontal issues. For your child’s healthy smile. They have delightful flavours for kids such as bubble fruit and strawberry which makes their brushing experience very pleasurable. Right brushing technique for kids. Toothpaste quantity, frequency and use. 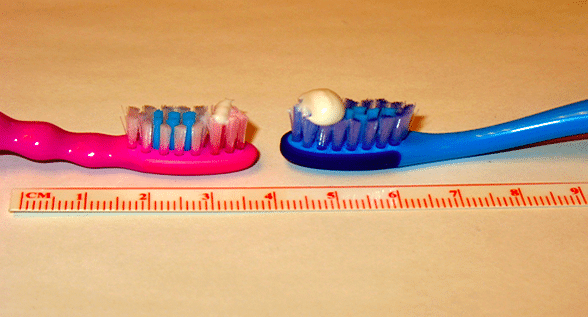 A pea sized amount of toothpaste is sufficient for children. The tooth brush bristles are supposed to be held an an angle of 45 degrees. At least one to four minutes of brushing time is recommend by Pedodontists for your child. A thumb rule of two minutes and two times a day with a toothpaste designed for kids is recommend for daily use. Quora answers for the best toothpaste in india. Liked the above article on toothpaste? Please do share, like & comment on social media to let other Indians know! Sign up for free to read our newsletter!